Real Madrid developed an complex against this coach and didn't won a match against Atletico Madrid in the last 9 they played. 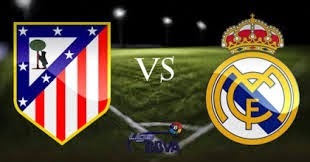 Both teams are looking very good ofensively and even if Atletico Madrid main reason for this streak when they didn't loss against Real Madrid was the good defense i think they are not so powerfull any more defensively and will conced but for sure both teams can score and more then one in this match up. Last 2 matches between them ended with 4 goals scored in each so i expect over 2.5 in this one.